So, let’s get right to it and discuss the 5 most dangerous lies you’ve been told about bread… and be sure to read #5 – the biggest surprise of all! This is a LOT more than a “little white lie” invented to sell cheap agricultural products at huge markups… it is the biggest health scam ever perpetrated on the public! Of course, this message comes to you from the same corporate interests and government health nannies who urged you to replace farm-fresh butter with heart stopping trans-fat (in the form of industrially-manufactured margarine). The truth is that there is nothing “essential” about whole grains. In fact, they are among the unhealthiest foods you can consume. 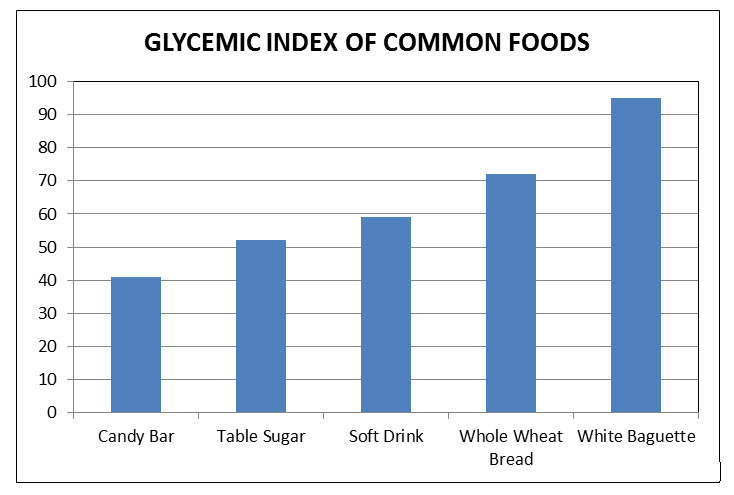 You probably know that high glycemic foods cause a rapid rise in blood sugar and insulin. This triggers a cascade of inflammation and increases your risk for cancer, Alzheimer’s, heart disease, fatty liver and diabetes. High insulin levels promote the storage “visceral” belly fat, which surrounds your organs and sends metabolic messages that promote disease. High blood sugar also causes the formation of advanced glycation end-products (AGEs) – nasty little compounds that speed up the aging process and damage tissues (especially the skin, in the form of wrinkles and lost elasticity). And guess what? And it’s the specific TYPE of carbs in bread that are to blame. About 75% of the carbohydrates in wheat are in the form of amylopectin A – a compound that is unique in just how rapidly it is transformed into glucose. “Heart Healthy” Whole Wheat… Causes Heart Disease! The medical establishment has greatly exaggerated the role of cholesterol in heart disease. But there is one type of cholesterol closely linked to this killer – small dense LDL particles. american heart associationA study published in the Journal of the American Medical Association showed that people with high levels of small dense LDL have a 300% greater risk of heart attack! Many doctors believe it is the number one risk factor for heart disease in the U.S.
And guess what triggers these dangerous compounds to form more than any other food? It is the amylopectin A found in wheat! Think about that the next time you see the American Heart Association “Seal of Approval” on a package of whole grain bread. And to think they recommend you eat this food AT LEAST three times per day! Are You High on Bread? You’ve probably heard that sugar triggers the same pleasure centers in the brain as drugs of addiction. That’s why it can be so hard to “just say no” to sweet treats. That’s because in addition to the rapid sugar rush wheat provides, it also produces specific compounds that bind to morphine receptors in the brain. In addition to subtle euphoria, these opiates cause a repetitive cycle of cravings – for more grains! It’s no wonder a study published in the journal Psychosomatic Medicine showed that people who eat wheat consume an average of 400 calories more per day. 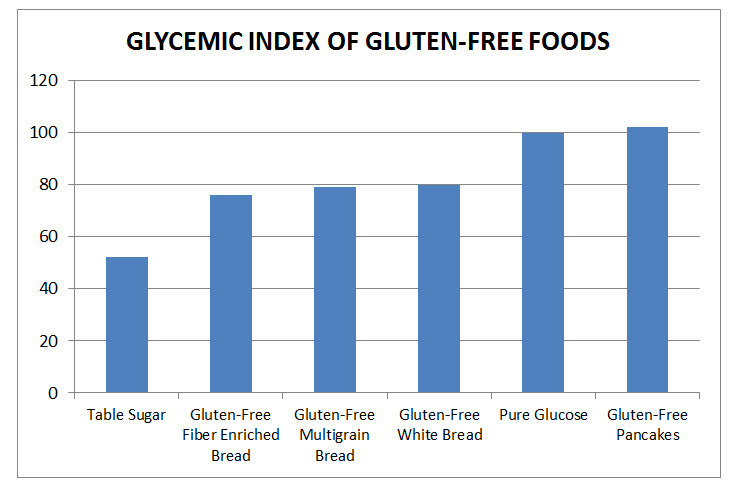 Most people GAIN WEIGHT on a gluten-free diet. In fact, one study showed that 81% of people who adopted a gluten-free diet had gained weight after two years! Most people are aware that a little protein in wheat can cause BIG problems for some people. For those with celiac disease and gluten sensitivity (two completely different conditions), even a small amount of gluten can cause serious digestive problems… systemic inflammation… autoimmune disease… and the list goes on. At least 300 health-related issues have been linked to gluten. But the Problem is NOT Just Gluten! Most doctors (mistakenly) believe that any problems with wheat are problems with gluten. In other words, if you don’t have a problem with gluten… you don’t have a problem. However, the protein we call “gluten” actually consists of hundreds of smaller compounds. Any ONE of these could trigger an inflammatory or immune response. According to a study published in Plant Physiology, modern wheat is capable of producing at least 23,788 unique proteins! This would explain the studies where people have shown a severe reaction to wheat – and no reaction at all to gluten itself, even in high doses. gluten in your headThe problem is that conventional lab testing looks for just two antibodies related to gluten. Unlike animals, plants cannot escape being eaten. That’s why many plants have defenses to discourage predation. Thorns on a cactus are an obvious example. 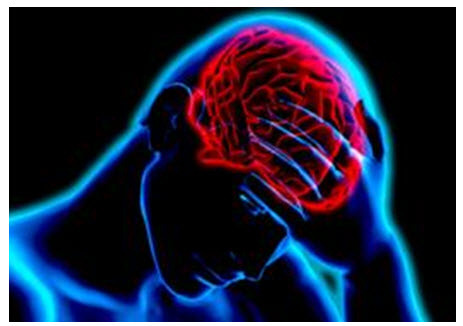 Studies show that WGA can have direct toxic effects on most tissues in your body, including the heart and brain.In fact, it enters the brain so easily that scientists are hopeful it can be used to deliver Alzheimer’s drugs. Like gluten, WGA can also disrupt your hormonal system, weaken immunity, cause digestive problems and promote systemic inflammation (the cornerstone of degenerative disease). And the highest concentrations of it are found in whole grains – including supposedly “healthy” sprouted grains! When some people eat the tiniest bit of wheat or gluten, they can be doubled over in pain or running to the bathroom within minutes. In a way, these people have an advantage… at least they can identify the problem and its source. But just because you feel fine after eating a bagel, doesn’t mean it is not damaging your body. Studies show that even if you are NOT “gluten intolerant” these foods can cause inflammation and perforations in the gut – allowing unwanted substances to “leak” into your bloodstream. And you might not feel the slightest gurgle in your belly. In fact, almost 50% of newly diagnosed celiac patients have no noticeable abdominal distress. Yet, with each bite you are causing damage to nearly every tissue, system and organ in your body. A VERY long list of skin conditions, including everything from acne to wrinkles. Research shows that wheat can trigger a variety of autoimmune conditions (where the body attacks itself), including: type 1 diabetes, rheumatoid arthritis, and multiple sclerosis. The Journal of the American Medical Association published a report showing that gluten sensitive people who still consume grains increase their risk of death up to 75%! More than 50 years ago, doctors discovered that some mental patients made spontaneous recoveries when bread was not available to them. Recently, doctors at Duke University reported on a woman who had a 50-year history of delusions, hallucinations and suicide attempts. Within a week of stopping wheat, her symptoms disappeared! But if you (or someone you know) has ever suffered from depression… insomnia… anxiety… dementia… or nearly any other psychiatric or neurological condition – there’s a good chance a grain-free diet would help. 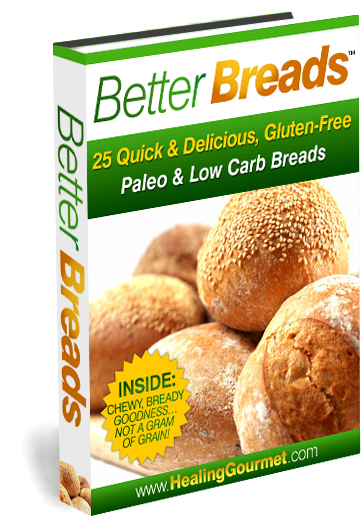 paleo french toastAnd what if these delicious real-food breads were not only gluten-free… but low glycemic too?